Looking for information on Mesa real estate in the East Valley of Phoenix? Be sure to check out the Mesa homes for sale stats and the local properties available below. The numbers shown include both condos and single family homes. Located within close proximity to ASU and Sky Harbor, Mesa is a thriving area with lots of shopping, parks and local recreational activities for today's active home buyers. ONE OF A KIND. HORSES, HORSES, IRRIGATED PASTURE, SPECTACULAR VIEWS OF NORTHEAST VALLEY FROM THIS EXCEPTIONALLY RARE 9.23 ACRE HORSE PROPERTY AND COMPOUND WITH 3 HOUSES. 15 MINUTES FROM AIRPORT. ''WATCH'' VIRTUAL DRONE TOUR OF PROPERTY. MUST SEE PROPERTY!!! Thanks for exploring our website today. Right here you'll discover all currently listed houses for sale, along with home and neighborhood details, Google street views, and so much more. Our people truly aim to bring you every thing you need to not only search for a property, but to make an intelligent decision on neighborhoods and communities based upon local advantages and schools. We know that you are not just choosing a home, but a community and school system. If you have any concerns or questions, be sure to let us know. To help with choosing a local Broker, we have provided a link to a list of the real estate professionals on our staff. Helping make your property search a little easier is our ultimate goal. To help with this, we have separated all the MLS home listings into price points, so you'll be able to instantly see the houses that meet your price criteria. Sign Up for a FREE Mesa Listing Monitoring account. It is quick, effortless, and gives you restricted access to new MLS houses and condos listed in the Mesa area. You can save your preferred properties and tailor your own real estate searches. 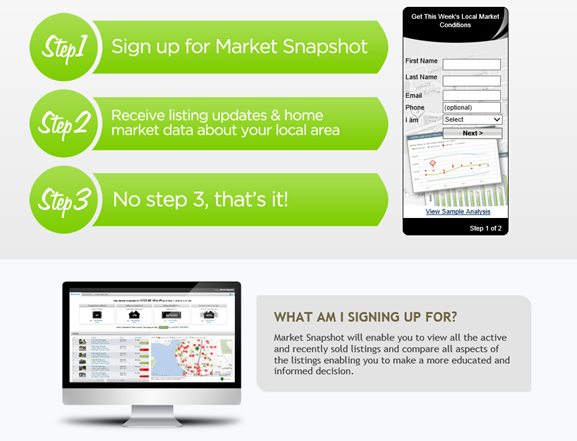 You'll be in the know, just like a qualified Realtor. Be sure to try out our "Smart Search" technology today! What's My Home Valued At In Today's Mesa Real Estate Market? Regardless of whether you are looking at selling your home in Mesa or just want to see what your home might be really worth, check out our "Selling Your Residential Property" resource below. This solution will enable you to quickly see what residences are selling for in your neighborhood, but also let you see closed home prices as well. The easy to use software lets you see average selling price, days on market and much more. Give it a try today and let us know if you would like a professional market value analysis on your residence by one of our community real estate specialists. Have you ever thought maybe you don't need a Realtor? Many people are now relying on the internet to begin their home search and don't necessarily engage a local real estate specialist until they are ready to produce a purchase agreement. Many home purchasers think that they can maybe save money by working with the listing agent and not involve an agent of their own. This is really not a good way to approach shopping for one of the biggest and most expensive assets you'll own. First off, our real estate brokers are intimately familiar with the communities in which they work and can be a great resource when it comes to what the real estate marketplace is doing, as well as what is going on with the neighborhood and schools. Secondly, you ought to have your own representation in a transaction. Writing the agreement is the easy part. What happens if there are problems on the inspection that requires more intense negotiations, or if they are problems with financing requiring an extension of the closing date. There are many moving parts in a real estate deal, and having somebody who represents only your concerns is a must. Our team puts our clients needs and interests first, and can be that champion you need in a difficult transaction. Be sure to get in touch with us today and get connected with one of our local Realtor team members. If you are looking for information on schools, click the image below. Be sure to click on the school name and use the drop down menu to see the school profile, student teacher ratios, test scores and more. In addition, click on the community tab to see valuable information about the Mesa community. Let us know what type of home you are looking for in the local area, and one of our local team members will be glad to answer and questions, give you a comparative home value analysis and show you any MLS property listing of interest. Contact us today! Tom Donnell and Jim Grote are local Mesa Realtors that would be happy to assist with your home search.